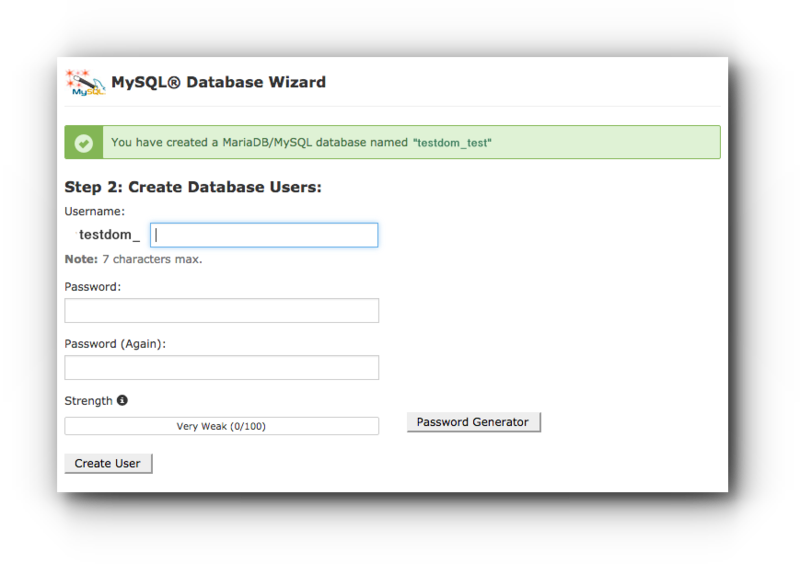 MySQL® Database Wizard is recommended for the first creation of a new database. 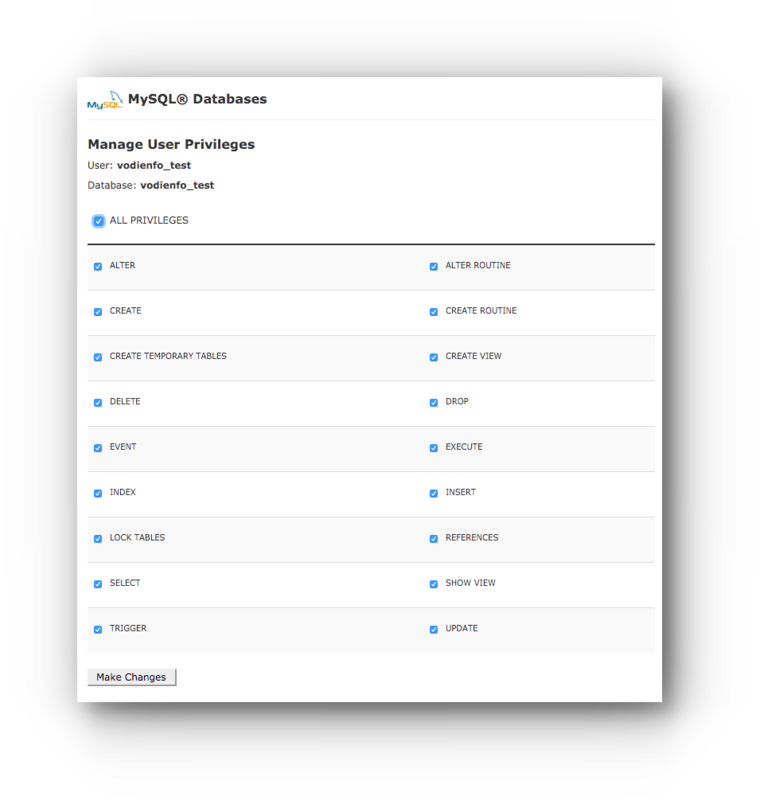 If you wish to create a new user, use MySQL Databases interface instead. Step 2. 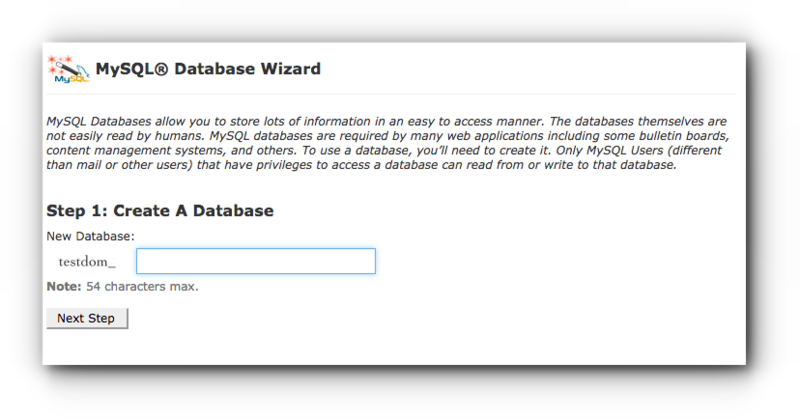 Click on MySQL® Database Wizard. Step 3. Enter the new database name and click on Next Step button. Step 4. 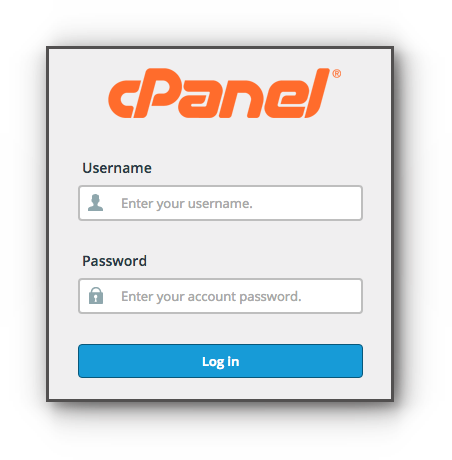 Enter the user name and database password. Click on Create User button to save the changes. Step 5. Click on the check box for ALL PRIVILEGES and click Make Changes button. You will be redirected to a message prompt that it was successful.